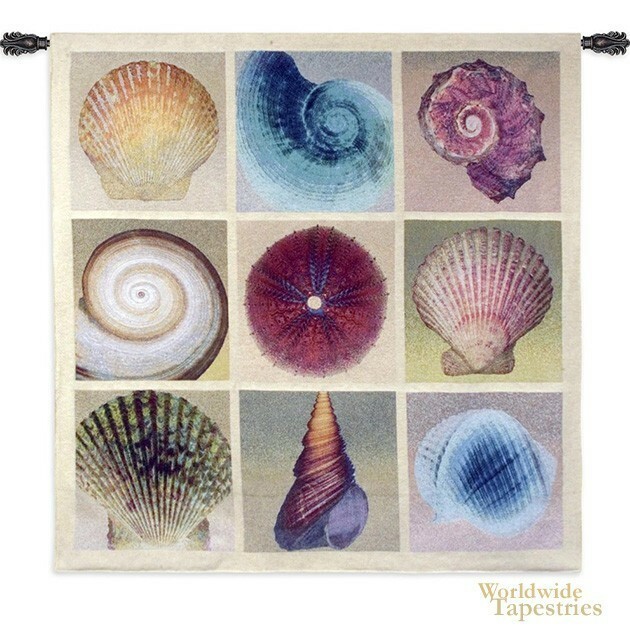 In this tapestry 'Shell Collection', we see a collection of colorful shells, based on the work by artist Robert Mertens. The love of natural forms and color is shown in this work by Mertens which evokes the feeling of the seaside. For a sense of the ocean in your room or home, then this wall hanging will provide this and a sense of beauty at the same time. This tapestry is backed with lining and tunnel for easy hanging. Note: tapestry rod and tassels, where pictured, are not included. Dimensions: W 52" x H 52"